Human blood is red because it contains Iron. Blood of Crab is Blue because it contains Copper instead of Iron. Leech blood is Green in color because it contains Chlorocruorin. 4.5 million Americans will a need blood transfusion each year. Someone in America needs blood every two seconds. The #1 reason blood donors say they give is because they "want to help others." 3,000 pints of blood is donated day in the United States and Canada. Only 37 percent of the U.S. population is eligible to donate blood – less than 10 percent do annually. Healthy adults who are at least 17 years old, and at least 110 pounds may donate about a pint of blood – the most common form of donation – every 56 days, or every two months. 94 percent of blood donors are registered voters. Dr. Karl Landsteiner first identified the major human blood groups – A, B, AB and O – in 1901. Four main red blood cell types: A, B, AB and O. Each can be positive or negative for the Rh factor. AB is the universal recipient; O negative is the universal donor of red blood cells. Platelets promote blood clotting and give those with leukemia and other cancers a chance to live. Plasma is a pale yellow mixture of water, proteins and salts. 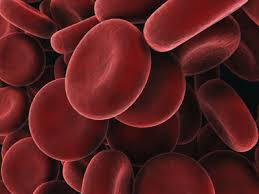 Plasma, which is 90 percent water, makes up 55 percent of blood volume. Healthy bone marrow makes a constant supply of red cells, plasma and platelets. Blood or plasma that comes from people who have been paid for it cannot be used to human transfusion. Granulocytes, a type of white blood cell, roll along blood vessel walls in search of bacteria to engulf and destroy. Most donated red blood cells can be stored up to 42 days. Donated platelets can be stored for up to 5 days. 20 units of blood donation's platelets are needed for a severe burn patient’s treatment. Frozen plasma can be stored can be stored for up to a year. The average whole blood and red blood cell transfusion contains 3 pints. Children being treated for cancer, premature infants and children having heart surgery need blood and platelets from donors of all types, especially type O. Anemic patients need blood transfusions to increase their red blood cell levels. Cancer, transplant and trauma patients, and patients undergoing open-heart surgery may require platelet transfusions to survive. Sickle cell disease is an inherited disease that affects more than 80,000 people in the United States, 98 percent of whom are of African descent. Many patients with severe sickle cell disease receive blood transfusions every month. A patient could be forced to pass up a lifesaving organ, if compatible blood is not available to support the transplant. Thirteen tests (11 for infectious diseases) are performed on each unit of donated blood. 17 percent of non-donors cite "never thought about it" as the main reason for not giving, while 15 percent say they're too busy. Blood centers often run short of types O and B red blood cells. The rarest blood type is the one not on the shelf when it's needed by a patient. If all blood donors gave three times a year, blood shortages would be a rare event (The current average is about two.). If only one more percent of all Americans would give blood, blood shortages would disappear for the foreseeable future. 46.5 gallons: amount of blood you could donate if you begin at age 17 and donate every 56 days until you reach 79 years old. After donating blood, you replace the fluid in hours and the red blood cells within four weeks. It takes eight weeks to restore the iron lost after donating. One unit of whole blood is roughly the equivalent of one pint. Any company, community organization, place of worship or individual may contact their local community blood center to host a blood drive. Blood drives hosted by companies, schools, places of worship and civic organizations supply roughly half of all blood donations across the U.S.
People who donate blood are volunteers and are not paid for their donation. 500,000: the number of Americans who donated blood in the days following the September 11 attacks. CBC stands for Complete blood count. This test includes white blood cell count (WBC), red blood cell count (RBC), platelet count, hematocrit red blood cell volume (HCT), hemoglobin concentration (HB) - the oxygen-carrying pigment in red blood cells and differential blood count. In Japan, blood types are assigned personality traits - Type A is Farmer, B is Hunter, AB is Humanist and O is Warrior.